Please respond by phone or using the contact form below. Main; mixing all pig feed formulations using mobile mill-mixer on 250hp tractor. Livestock work; occasional help with pig unit on busy days. Call us on 01896 758091 or use our contact form below. Looking for motivated and enthusiastic person to help with general farm work which will include combining, cultivations, sowing and fertiliser spreading. Winter work will include bedding and feeding cattle and sheep, welding and some deliveries of livestock equipment. Knowledge of welding a plus but not essential if willing to learn. If you are travelling and are looking for stock work, please send us your CV. STOCK EXPERIENCE ESSENTIAL! Labour positions always available. Builders, fencers, tractor driversand stockmen etc. 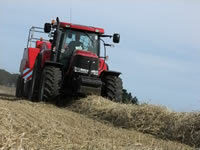 Recruiting now for spring work, lambing, calving and harvest.